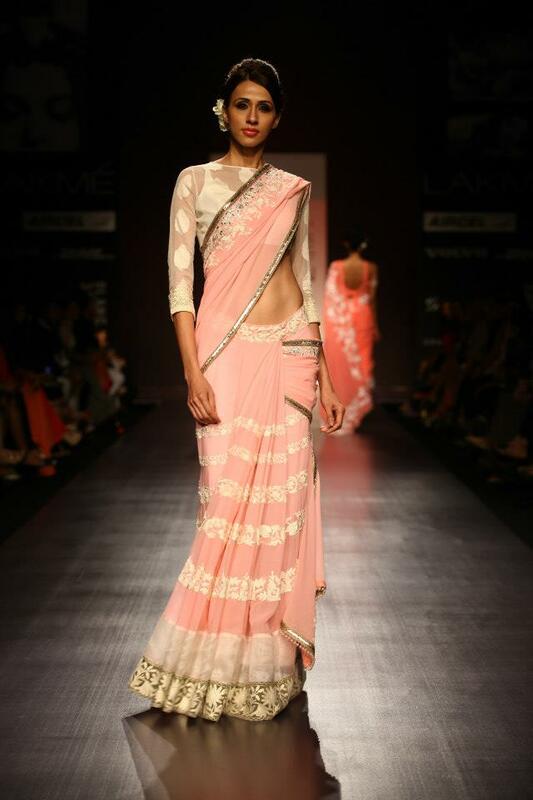 Indian women are epitomized by the alluring and graceful sari. Saris are a reason and an excuse to dress up and add some freshness to the sultry summers. Vibrant hues, light fabrics and lots of re-vamping of wardrobe make the list. 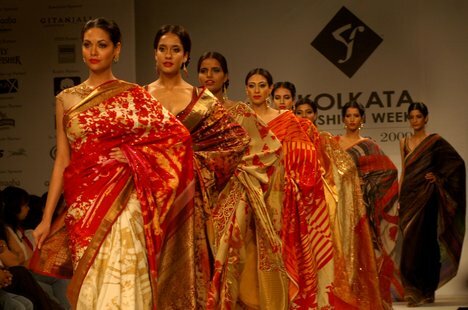 Top designers such as Manish Malhotra, Satya Paul, Sabyasachi Mukherjee, Ritu Kumar to name a few have transformed the conventional sari to a stylish and glamorous outfit to celebrate India. These saris can be flaunted for casual wear and on festive occasions as well. India, one of the oldest producers of cotton is the only country to have the sheer variety of weaves that are treasured globally. These cotton saris are usually 6 yards to 6.5 yards, and are well suited to the scorching summers. They are the best fabric which helps beat the heat. Saris in diverse weaves include Phulia cottons from West Bengal, the Bandhni or tie- and dye from Rajasthan and Gujarat, the Kota from Rajasthan, the Kerala Kasavu and the beautiful zari lined Venkatgiri cottons from Andhra Pradesh or the highly prized Gadwals, the Narayanpeths and Mangalgiri from Maharashtra and the Kanchi cottons saris that are easy maintenance. The famed Jamdani of Dhaka muslin that has moved across the borders is as popular as its legendary precursor. Other saris are Chikan cottons, Dhanekhalis marked by a sheaf of paddy, the bright and ornate bordered Shantipuris from West Bengal and the Phulkari cottons from Punjab with the traditional Phulkari embroidery. Chanderi sarees can be traced back to the 13th century and are well known for their association with royalty. The light weight, fineness, and transparency make these saris a cherished fabric. Chanderis are famous for their mix of silk and cotton and the borders of these traditional hand woven saris are edged heavily with gold thread work. The story about the delicacy of the Chanderi goes that the cloth length of a Chanderi was folded in a hollow of a bamboo and sent to Emperor Akbar and when it was unfolded, it could cover an elephant! Another gem is the Maheshwari sari from Madhya Pradesh and that owes its origin to queen Ahilya Bai Holkar. This sari is either made of pure cotton- cotton wefts on cotton warps or is mixed with silk warps and cotton wefts. The Maheshwari is simple and characterized by floral patterns or geometric designs like stripes and checks that are woven in; or a plain body with border embellishment in gold zari. The popular designs include the mat (chatai), the linth or brick, diamond and the Chameli flower pattern. Its pallu is unusual and has five stripes, three colored alternating with two white ones. Light and crisp with a subtle sheen from the silk warp threads the Maheshwari is ideal for summer. Cotton saris from Madurai in Tamil Nadu are known for their work in zari and embroidery work. The pallu has rich ornamentation and with its pure cotton fabric is fitting for the summer. These saris have attractive nakshi zari borders and tie and dye printed bird motifs. Contrasting printed borders, modern patterns and traditional ones such as butterflies and peacocks make a refreshing change during the scorching summers and is perfect for corporate wear or college goers. Benarasi saris exemplify the rich weaving tradition of India. Benarasi Saris are most sought after for Indian Weddings and pre-wedding functions. This beautiful assortment of Benarasi Saris includes fabrics such as super lustrous Dhakai Silks, muted and elegant Jute silk or the amazing and very affordable art silk. Available in a variety of attractive and vivid shades featuring subtle woven motifs, Benarasi saris made of georgette and faux chiffon are unique for the warm summers. These saris are easy to drape and comfortable to wear even during sultry summers and perfect for pre- wedding functions or other festive events. Saris in Supernet and Organza cotton too have been contemporized with mirror work from Gujarat. Summer collections include light pastel colors printed sarees, georgette printed sarees, crepe printed sarees and chiffon printed sarees. Some of the most preferred sari fabrics that women prefer especially for a summer wedding are georgettes, chiffons, and even cotton blended with silk or other fabrics. Eye catching saris specially created by eminent designers for summer are available in cool colors such as white, silver, green, blue, turquoise, gray and neon. These sarees are available in colors and patterns that are bright, beautiful, light, and very comfortable to wear and carry. Although sari fabrics like chiffons and georgettes are very casual, the wedding wear is generally embellished with a lot of beadwork, embroidery work and an array of gorgeous colors. 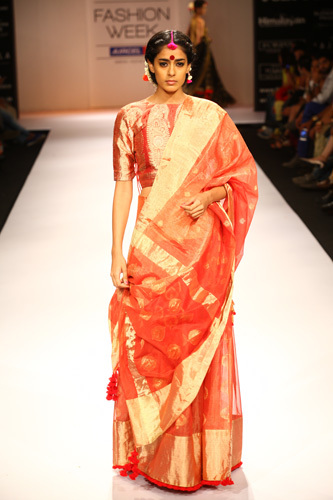 Another fabric that looks striking and elegant is the tissue sari. Tissue sarees are not only airy and comfortable but look luxuriant with detailed embroidery. Printed Casual Saris are the ideal attire for those women who are working or for those who prefer to keep it simple and sophisticated. The increased demand for printed saris in summer is due to the comfort & simplicity it offers while wearing. They are extremely easy to wear, easy to carry off and equally easy to wash and maintain. The prices for cotton, chiffon, and georgettes start at Rs.1000/- and can go up to Rs.5000/- and more depending on the embellishments and brands. Chanderi saris and Maheshwari saris start at Rs.2500/- and go up to Rs. 3600/- and more. Fashion runways sport trends such as the kimono sari, the sari jumpsuit and the sporty sari. The Hindi film industry influences fashion trends with neon colors that are extremely popular on sarees, salwar kameez, and western wear. Printed Saris are made from the summer friendly fabrics like Chiffon, Cotton, Crepe, Georgette etc. which are the base for these saris. These bright & vivid colored casual saris with eye-catching trendy printed patterns are a must this summer and even for everyday wear. 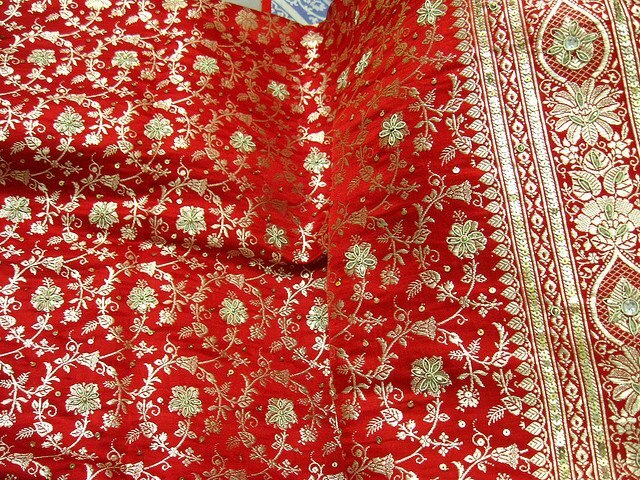 These saris are also available with lace borders of fancy materials like brocade, sequins etc. and that gives them a designer appearance. Besides the conventional designs, saree collections have geometric prints, abstract prints, and even animal prints. If you like to stick to the traditional styles then the drape would make a difference. The Gujrati or Bengali style worn with a richly detailed bustier can set you apart in a crowd. A satin bow choli with cutwork sleeves or blouses with cut out or square backs looks more fun than a regular one with the same sari. The pallu can be draped scarf like to achieve an uncommon look. Chiffon and georgette saris with long slit sleeves look outstanding. We love a mesh neckline on saree blouses! Team up the cotton saris with bold statement jewelry. Terracotta, silver, black metal and antique finish silver jewelry work very well with cotton sarees and gives an edge to the look. Indian footwear such as Kolhapuri chappals or sandals looks incredible with cotton saris. Jute totes and handbags too complement cottons. Saris such as Chanderis, Maheshwaris, and tissues require very subtle jewelry to complete one’s look. Cotton sarees can be washed for the first time by soaking them in a solution of rock salt and water for five minutes to lock the color in. Adding liquid starch to it will keep the sari crisp and relatively stain free. They should never be dried indirect sunlight and pressed with a moderately warm iron. Cotton saris with zari detailing should be dry cleaned only. Chiffons should never be hung in hangers as being flimsy, their shape could get altered. Chiffons should always be dry cleaned. Moth balls will turn the zari border black; instead cloves can be wrapped in a clean cloth and stores with the sari.